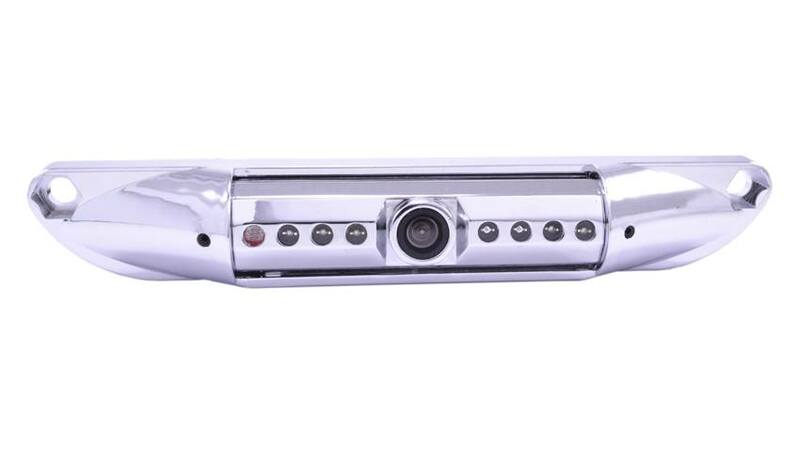 Backup camera install will be easy with this license plate backup camera. One of the easiest ways to prevent accidents on the road is to install a backup camera system on your vehicle. Thousands of avoidable accidents occur every year because of blind spots, and they are usually the driver's fault. Whether you have a large RV that is difficult to park or you just want to be able to see traffic behind you when you shift lanes, installing a backup camera will help. If you thought a high resolution license plate camera was beyond your budget, it is time to look again. At TadiBrothers, we carry premium vehicle camera products at prices that are more than reasonable. This CCD (High Definition) camera provides you with a stunning 120° color picture so that you can have a clear view of the left, right, and rear view of your vehicle. The reverse imaging and CCD lens gives you a natural, mirrored view so you don't have to worry about adapting to a new system. A license plate backup camera is ideal for those who want a camera installed that does not change the structure of the vehicle. Installation is a breeze – you simply screw your current license plate's screws right through the camera's brackets and you are good to go. No need to worry about removing it on a rainy day – our cameras are 100% weatherproof. The rugged steel chassis is built to withstand a beating, so you can count on this quality item to last.